One area that binaural beats have been subject to numerous studies is for depression, anxiety, stress and conditions related to the inability to relax. We have already discussed Theta therapy in another post, so we won't specifically concentrate on that here, but instead let's look at factual evidence from studies conducted on the effect of binaural beats on the body. Each study paper is listed so you can independently verify the information outside of this post. “A Comprehensive Review of the Psychological Effects of Brainwave Entrainment”, Tina L Huang, PHD, and Christine Charyton, PHD. This paper studied 20 previous studies and summarized the overall psychological effects of Brainwave Entrainment. The paper concluded that brainwave entrainment was an “effective therapeutic tool”. 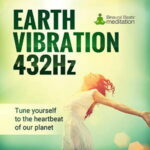 It specifically concludes that those suffering from conditions such as stress, pain, headaches and migraines, PMS and other problems that interfere with daily cognitive function will benefit from the use of binaural beats. The paper states; “The immediate psychological effects on memory, attention, stress, pain, headaches and migraines were shown to benefit from even a single session of brainwave entrainment”. The paper also highlights that results from previous studies show that the effects of binaural beats are lasting, and that behavioural changes take on habitual manifestation. This research looked at depression in alcoholics, specifically, but the subject of depression is the key focus and still relevant to this post. The study took two groups; the first group underwent ‘control therapy' was sent to a regular 12-step AA program, and the other group underwent ‘experimental therapy' and were exposed only to fifteen 20-minute sessions of alpha and theta binaural beats. The results were astonishing. The control group attending AA experience an 80% relapse rate 13 months after the study. 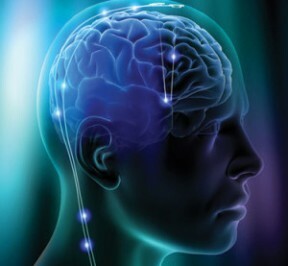 The binaural beats experimental group experienced a 20% relapse rate. This alternative therapy study looked at the impact light brain entrainment has on people with mild anxiety. Subjects used binaural recordings five times per week over four weeks, resulting in significant reduction in anxiety levels. 3) Journal of Alternative and Complimentary Medicine, Jan / Feb 2007, “Binaural Beat Technology in Humans: A Pilot Study to Assess the Psychological and Physiological Effects”, by Helane Wahbeh, Carlo Calabrese, Heather Zwickey. This particular study took 8 healthy adults and had them listen to binaural beats daily over a 60-day period. The study resulted in a “decrease in anxiety, and an increase in the quality of life”. Cortisol is found in the adrenal glands and impacts learning and memory. Too much cortisol causes stress, but by using binaural beats Cortisol is naturally regulated as the listener relaxes more. DHEA is used as a “source ingredient” for virtually every “good hormone”, and is known to boost immunity. Listening to binaural beats encourages the body's production of DHEA. Melatonin is besides being a sleep hormone a very powerful antioxidant anti aging agent immunoregulator anti-depressant. Like DHEA, binaural beats encourages the production of Melatonin, resulting in the promotion of anti-aging and combating depression. This study concluded that binaural beats increase relaxation, assist pain management, improve sleep and reduce stress. 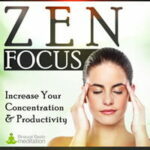 This research paper concluded that binaural Beats help increase creativity levels, boost relaxation and induce a meditative-like state in the low theta zone. This study by the Monroe institute was also documented in Michael Hutchison's book, Megabrain, released in 1986. The research showed that binaural beats helped increase focus, sleep induction, pain management, and enhanced learning and creativity. There have been numerous studies on binaural beats through the years, more so than any other form of brain entrainment, in particular isochronic tones, where claims are broad but evidence lacking. What the aforementioned studies show is that regular use of binaural beats definitely increases the listeners ability to relax, relieve anxiety and reduce stress. 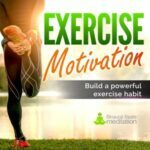 This in turn positively affects hormonal function; with the primary benefits being reduced cortisol – known to be present in high volume among those suffering depression – an increase in melatonin, which also aids sleep (insomnia is a known problem among those suffering depression). Binaural beats have shown positive results when used to cure daily ailments such as migraines, PMS, and assist in body pain management. There is no doubt that binaural beats have a blanket effect on quality of life, impacting numerous areas of daily living, bringing about positive, long-term effects, and providing a viable alternative to prescription medication.